It's the holiday season, and that means Disney is giving us another early holiday present. We are less than a month away from the worldwide debut of "Rogue One:A Star Wars Story", and this installment of the Star Wars movie franchise should be a mega hit. 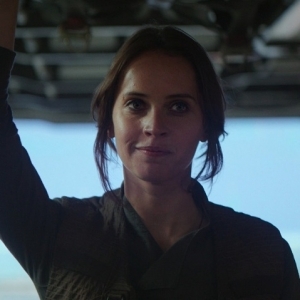 This new Star Wars movie has me puzzled because there has never really been a movie quite like 'Rogue One' on this scale, so putting betting numbers for this was actually a challenge. I not saying that this new Disney installment of Star Wars movie is going to be a flop, but the characters are different and some of the new Star Wars fans might not know the story of 'Rogue One'. The trailers are great, the fans (including myself) are psyched, and there is little reason to presume it won't make buckets of money this December. However, will it beat the numbers of the last Sat Wars movie 'The Force Awakens? Last December "Star Wars: The Force Awakens" blew up the box office, grossing $963.7 million in North America and $2.068 billion worldwide. The Force Awakens closing betting odds for a worldwide gross was set for 'Over' $1 Billion dollars -360 and 'Under' $1 Billion dollars +240. I see the same results in this new Star Wars movie, but again with a new story line and new characters we could see some upsets in the gambling world when it comes to Star Wars betting. Our friends over at MyBookie have listed four Rogue One: A Star Wars Story betting propositions, and some of these props have a great betting value. Some interesting movies are going head-to-head with 'Rogue One'. And normally I would say any Star Wars movie would sweep the odds when it comes to entrainment/movie betting, but this upcoming Star Wars movie has unforeseen variables. Raphael Esparza is one of the top handicappers in all sports. This week Esparza will have College Football, NFL Football, NBA, NHL, Canadian Football, and of course some boxing action. This weekend Esparza has his NFL 8-Unit AFC Conference Game of the Year going Sunday and he looks to dominate the NFL this weekend. Get his top NFL pick this week for only $30, or new clients can take advantage of Doc's no-hassle $60 free picks offer and get Esparza's weekend picks and still have a $30 credit to use for any picks from any handicapper on the site.